The gates of history are wide open with the Museum Pass İstanbul. A Museum Pass İstanbul card enables you to visit İstanbul’s historical and cultural treasures, free of charge, without having to queue. 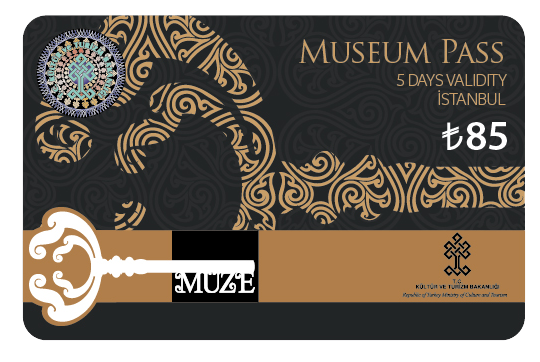 The Museum Pass İstanbul is valid for 5 days and the price is 85 TL. The Museum Pass İstanbul cards validity period begins with your first museum visit. Each card can only be used at each museum once. The advantages offered to cardholders aren’t just limited to museum visits. Some attractive discounts await at the city’s elite private museums, arts and entertainment venues, museum shops and GES Shops. *Harem is inside the Topkapı Palace and has a separate entrance.